Are you interested in subtly enhancing your lips without worrying about them looking “puffy” or over filled? Do you want to reduce the appearance of “smoker’s lines” around your mouth? At Plateroti Dermatology, we offer Juvederm Volbella® injectable filler that is specifically designed to treat fine lines around the mouth and enhance the lips. 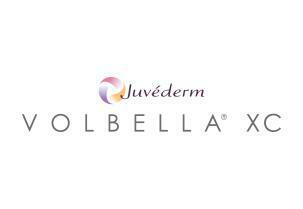 Volbella® is part of the Juvederm® line of hyaluronic acid based dermal fillers. Volbella® was specially developed to enhance the lips and treat fine lines around the mouth without giving the treated area an “overfilled” look. Volbella® contains smaller particles of hyaluronic acid compared to other fillers, which allows it to treat these delicate areas and still provide smooth, natural looking results. Volbella® is the first lip enhancement filler that has been FDA-approved to reduce the appearance of fine lines around the mouth. Results of Volbella® can last for up to a year. What are the Advantages of Volbella®? Do you want to find out if Volbella® is the right option for you? Schedule a consultation with Plateroti Dermatology today! Volbella® is injected into the skin using an ultra-fine needle and is formulated with Lidocaine to increase your comfort during the injection session. Injection sessions typically take about 15 to 30 minutes, depending on the area being treated and the number of areas being treated. There is minimal downtime following Volbella® injections, most patients are able to immediately return to work and other normal activities. The unique formulation of Volbella® attracts less water, which reduces swelling in the treated area following the injection. Results of the treatment can be visible immediately following treatment, with final results being visible up to one week following an injection session. The results from Volbella® can last for up to one year. Results may vary depending on the patient and the treated area. Common side effects can include swelling, bruising, tenderness, redness, itching, or discomfort at the injection site(s). These side effects are temporary and should resolve on their own. Side effects generally subside within a week of treatment. 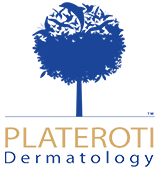 Why should I choose Plateroti Dermatology? We are committed to providing the best care and services to our patients. Plateroti Dermatology is a “results based” practice and our expert team is dedicated to helping you achieve your aesthetic goals through customized treatment plans and combination therapy. Are you interested in learning more about Volbella® filler? Contact our office in Templeton for more information!